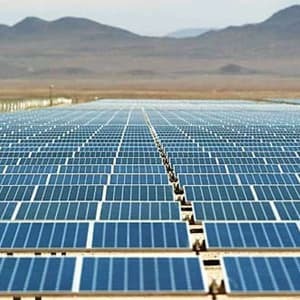 The Gujarat Urja Vikas Nigam Limited (GUVNL) has invited expression of interest (EoI) from project developers to develop 1,000 MW of grid-connected solar PV projects in the Dholera Special Investment Region (DSIR) in the state. The deadline for submitting EoI is October 15, 2018. Gujarat Power Corporation Limited (GPCL) will be the nodal agency for the development of the solar park. GUVNL will procure the power from the solar PV projects. The final selection of developers for the projects will be through competitive bidding followed by reverse e-auction. The bid documents of competitive bidding process will be prepared after consulting the developers participating in this EoI and in the EoI meeting. The date, time and venue of the EoI meeting will be communicated after evaluation of the documents. Developers willing to participate in this EoI shall have to mandatorily attend the EoI meeting. Only the developers who attend the meeting will be eligible for participating in the tender subsequently. In July 2018, it was reported that the Dholera Special Investment Region (DSIR) in Gujarat was expected to issue its first 1,000 MW tender in August. “This is going to be the largest single-location ultra mega solar park of 5,000 MW in the country. We are hopeful of inviting bids for the first 1,000 MW in the next one month,” Jai Prakash Shivahare, managing director of Dholera Industrial City Development Corporation (DICDC) had told PTI back then. Earlier in April 2018, Mercom reported that the Gujarat government approved the establishment of a 5,000 MW solar park in the Dholera Special Investment Region (DSIR). The solar park will also open more opportunities for the full supply chain of manufacturing units in Dholera International City and the surrounding areas. According to Mercom’s India Solar Project Tracker, Gujarat has ~1.4 GW of large-scale solar projects in operation and over 500 MW under development. Solar installations in 2017 totaled just 282 MW in the state and its solar RPO is set at 4.25 percent for 2018-19.